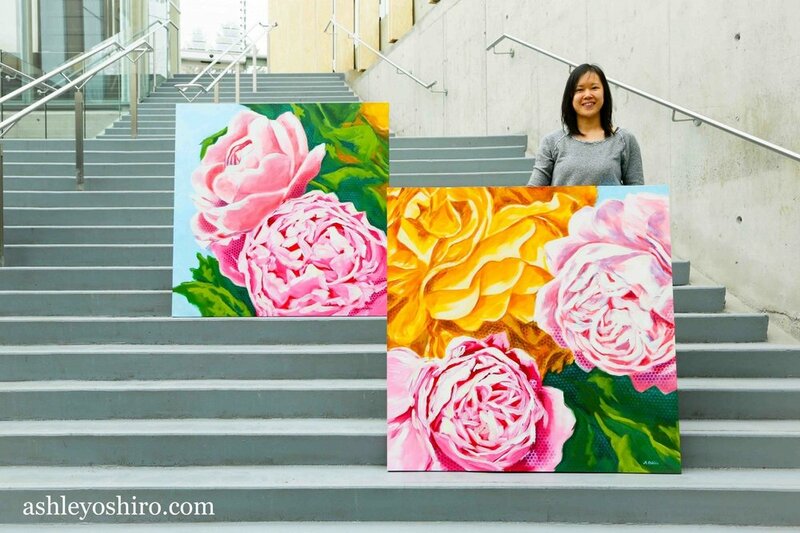 Born and raised in Calgary, Alberta, Ashley Oshiro is a self-taught artist who discovered her passion for painting in 2012. Since then, she has explored different styles and techniques, and continues to evolve as an artist. Her paintings consist primarily of acrylics on canvas or board and feature large scale, big brush strokes along with bright and bold colours. Ashley continues to reside in Calgary, Alberta, where she lives with her husband and two young children.